Barfield, Murphy, Shank & Smith has promoted Ashley Caldwell, Kristi Cerice, Melanie Shores and Mark Underhill to senior manager. Jackson Thornton has promoted Sarah Chandler and Daniel Tew to senior manager and Mark Barnett and Ryan McGowin to manager. Wilkins Miller LLC Partner L. Page Stalcup III has been appointed to the Alabama board of directors of Ascension Healthcare. Partner Scott Browning has graduated from Upstream Academy’s Emerging Leaders Academy. Also, Taylor Brown has passed the Uniform Certified Public Accountant examination. In addition, Rylee Ardis, Nikeith Guillory-Mukura, Drew Kitchens, Avril McRae, Shannon Phillips and Amanda Vaughn have joined the firm. Warren Averett recently promoted the following employees to manager, senior manager or principal: Brett Key, Adam West, Aimee Burgess, Amber Richardson, Andrea Johnson, David Foreman, Gavin Gillison, Heather Locklar, Jared Thomas, Jennifer Hardin, John Lee, Jonathan Osborne, Joy Abbott, Michael Nix, Missy Marlow, Ryan Grauel, Vaughan Holland and Mark Abernathy. Big has promoted Mary Jane Cleage and Niki Lim to its management team and Christina Schrempp to senior account executive. In addition, Emily Bailey, Laura Wright and Joyanne West have joined the firm. NASA has named Jody Singer acting director of NASA’s Marshall Space Flight Center in Huntsville. Singer replaces Todd May, who retired from the agency in July. John DeLoach, of Vincent, was named the 2018 Swisher Sweets/Sunbelt Expo Southeastern Farmer of the Year for Alabama. LIVE Design Group has added Yerix Morel and Caroline Brantley to its team. David Wallace has joined Barge Design Solutions Inc. to lead the firm’s federal program. Thomas Felder has joined Commonwealth National Bank as CEO. FNB of Central Alabama has hired Byron Heifner as senior vice president and chief lending officer. SmartBank has hired Nick Porter and Ben Welch in its University Branch in Tuscaloosa. 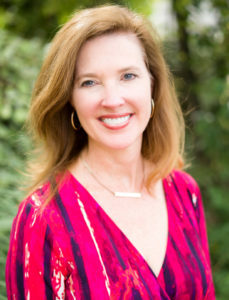 Coca-Cola Bottling Company United Inc. has elected Helen Smith Price to its board of directors. Greg Alexander has been selected the new Coastal Alabama Business Chamber president and CEO. Dr. Cal Dodson, of Red Mountain Internal Wellness, has been appointed 2018 board president of the Mountain Brook Chamber of Commerce. Angela Crosby has been promoted to vice president of compliance and ethics at Caddell Construction Co.
Vulcan Materials Co. has named Suzanne Wood its new chief financial officer. She replaces John McPherson, who will continue to serve as the company’s chief strategy officer until the end of 2018. 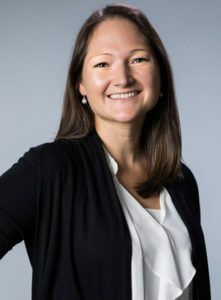 Autumn Tooms Cypres has been named dean of the University of Alabama at Birmingham School of Education. Eva Lewis has been named vice provost for Institutional Effectiveness and Academic Planning. In addition, Norman Bolus, director of Nuclear Medicine Technology, has been elected the 2018-19 president of the Society of Nuclear Medicine and Molecular Imaging Technologist Section. Wes Rakestraw has been appointed interim director of Wallace State Community College‘s Oneonta campus. He takes over the position following the retirement of Kelley Jones. Amanda Senn has been appointed deputy director of enforcement for the Alabama Securities Commission. Grinkmeyer Leonard Financial Co-founder Valerie Leonard has been named to the Forbes’ Top 1,000 Next Generation Wealth Advisors list for 2018. Michael Bartell has been appointed chief executive officer of Encompass Health Lakeshore Rehabilitation Hospital. Michael Minor has been named executive director for the Birmingham Regional Emergency Medical Services System. He replaces Joe Acker, who retired. Chef Kimberly Lyons, of The Grand Hotel Golf Resort & Spa, was named one of the Top 25 Hotel Pastry Chefs to Watch by Hotel F&B Magazine. Larry Woodward has been named general manager and Briana Browning director of sales of the Saraland Hampton Inn & Suites. 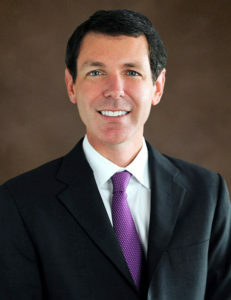 Sasser, Sefton & Brown PC Montgomery Shareholder Patrick L.W. Sefton has been elected to the Alabama State Bar Board of Bar Commissioners. Adams and Reese welcomed Bradley Sanders and Garrett Zoghby in the firm’s Mobile office. 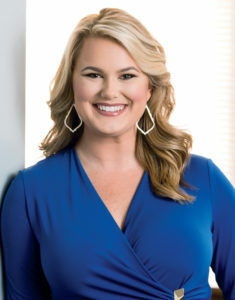 Jenna Bedsole, a shareholder of Baker Donelson, is the recipient of the Edward M. Patterson Servant Leadership Award, presented by the Alabama State Bar. In addition, Sharonda Fancher was selected to the 2018 class of the Birmingham Bar Association’s Future Leaders Forum. Bradley Arant Boult Cummings LLP Partner Joseph Mays Jr. has been elected as a fellow of the American Bar Foundation. Also Partner Bruce Ely has been named to Who’s Who Legal: Corporate Tax for five consecutive years. In addition, partners Lela Hollabaugh, Angela Holt and Patricia Head Moskal have been named to Benchmark Litigation’s 2018 Top 250 Women in Litigation list. Dominick Feld Hyde PC has added Richard Burton to its firm as a shareholder. He is the past founder and partner of Burton & Associates LLC. Kari Sutherland, of Butler Snow, has been named to Benchmark Litigation’s Top 250 Women in Litigation list. Huie, Fernambucq & Stewart LLP Partners Eris Bryan Paul and Gordon Jimmy Brady have been selected to Benchmark Litigation’s 40 & Under Hot List. Lightfoot, Franklin & White LLC associates Reid Carpenter and Amie Vague have been named to the 2018 class of the Birmingham Bar Association’s Future Leaders Forum. In addition, for a second year in a row, Partner Lana Olson has been named to Benchmark Litigation’s Top 250 Women in Litigation list. Maynard Cooper & Gale has hired Kyle Heslop in its Health Care Regulatory and Health Care Public Finance practice groups. In addition, shareholders Stephanie Houston Mays and Mitesh Shah were named to 2018 Benchmark Litigation Under 40 Hot List. Sheila Snow-Croft has been named director of the Network of Alabama Academic Libraries. She is the third director since the organization was established more than 30 years ago. Sarah Macaluso has joined Red Sage Communications Inc. as its marketing coordinator. Ryan Beale has been chosen as the new chief executive officer of The Orthopaedic Group PC. Southeast Alabama Medical Center welcomed Joshua Sterling Bentley, DO, to its NeuroSpine Center. Alabama resident Doug Schoenrock has been elected first vice president of Ducks Unlimited, a nonprofit waterfowl and wetlands conservation organization. 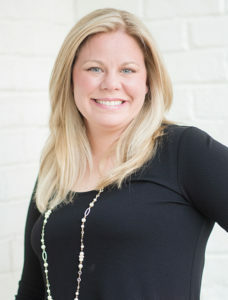 Amanda Pinson has been named executive director of Habitat for Humanity of Calhoun County. The Shopping Center Group has added David Ashford as a landlord leasing representative. Crown Tenant Advisors is expanding its services into Alabama and Northwestern Florida with the hiring Chuck Fisk as managing director. CFD Research Corp. has promoted Steve Cayson to chief operating officer. William Barrick, executive directory of Bellingrath Gardens and Home and a trustee for the Bellingrath Morse Foundation, has announced his retirement in 2019. Tim McCartney and Sandra Koblas have been appointed to the Alabama Workforce Council Board of Directors. They assume the positions formerly held by Zeke Smith and George Clark.